Hodge adds material handling equipment line to support growing territory in Wisconsin. Dubuque, IA - As part of the Hodge’s growing efforts and expansion in Wisconsin, the company is excited to announce that they have been appointed as an authorized dealer of Tailift Forklifts throughout the entire state of Wisconsin. Tailift brings a strong and well-known global brand to Hodge's product offerings. Tailift Forklift trucks are sold to more than 50 countries around the world, and are considered in the top 20 of the industrial truck world's rankings. 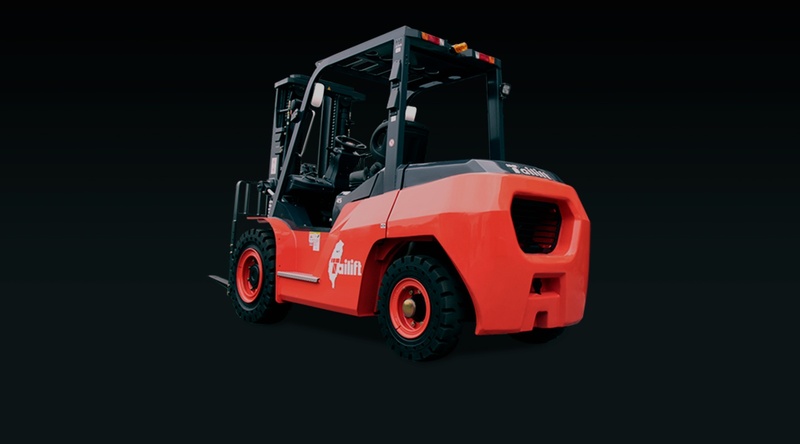 Tailift manufactures serial types of material handling machines including IC counterbalance trucks, electric counterbalance trucks, pallet trucks, heavy-duty forklifts, stackers, reach trucks, tow tractor and very narrow aisle (VNA) trucks. "As we continues to expand our Material Handling Division’s footprint in the state of Wisconsin, the need to offer a new line of equipment to support our growing customer base has become more and more evident," says Todd Kintop, VP of Material Handling. "We're excited to introduce Tailift to our customers. They're equipment boasts refined ergonomics, improved performance, and easy maintence - making them a great value for their cost." Tailift established in 1973 in Taiwan. With 35 years experience in the research and development of Material Handling Equipments, Tailift now has 3 manufacture plants worldwide Taiwan, China (Qingdao), and Canada (Ontario). In 2015, Tailift Material Handling Taiwan Co., LTD. formally joined a new member of Toyota family.